A few days ago I, Salim, unveiled the first part of 'Meet the Potential Stars of Africa Cup of Nations 2012'. Here, I bring it all home with the second and final part. Enjoy, ladies and gentlemen. Thank me later. 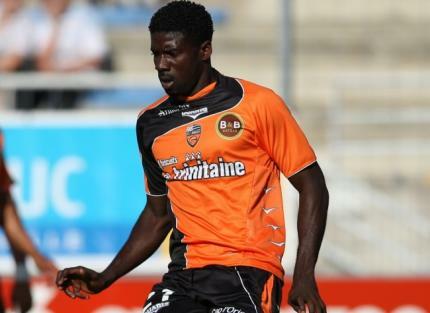 Bruno Ecuele Manga (23, Lorient & Gabon Centre-Back) When Laurent Koscielny left Lorient for Arsenal, Lorient’s replacement for him came in the form of Bruce Ecuele Manga. What made Koscielny particularly standout at his time at Lorient, and alert Arsene Wenger, were his impressive statistics: 328 clearances and 159 interceptions - which were more than any other defender in Ligue 1 in the 2009/2010 season. Called 'Manga' but he doesn't look like someone from a Japanese comic. Manga has continued that legacy and is third in the rankings of the defenders with the most clearances with 10 clearances per game this season. Clearances aren’t everything, of course, and Manga’s game isn’t limited to merely clearances - he is aerially very dominant and won’t shirk a battle, his performance in Lorient’s shock 1-0 away win against PSG was outstanding. Lorient, who are 10th in the league at the time of writing, have only conceded 4 goals at home this season – the joint-lowest in the league and Manga has been an ever-present. His backs-to-the-wall defending may very well come in handy, especially if Gabon are to reach the latter stages of the tournament. Olivier Giroud has, quite rightly, received a lot of credit for Montpellier’s excellent start to the season which sees them sitting second in the table in Ligue 1, 3 points behind the leaders PSG at the time of writing. The role of Younes Belhanda shouldn’t be underestimated, though. The French-born Moroccan attacking-midfielder has scored 5 goals and assisted 5 this season. While his decision-making can be erratic at times, understandable considering he is only 21, his vision and his long range passing can be a joy to watch and are parts to his game that are almost surprising if you judge him by his appearance – it’s easy to categorise him as your generic attacking midfielder in the Adel Taarabt mould. Appearances can be deceiving, though. Belhanda is already a very creative and has been one of the most aesthetically-pleasing footballers in western Europe this season. For Morocco he plays in more of a wide role and willingly tracks back to protect right-back Basser Chretien. In a Morocco side that doesn’t score many goals, but able to embarrass anyone when they look cohesive, he is certainly one to watch out for as he may very well be the one carving open defences or scoring goals. Pascal Feindouno is one of those players that comes to footballistically define a country. Feindouno is Guinea, Guinea is Feindouno. When he plays well, Guinea play well. When he plays poorly, Guinea play poorly…or, to add a little pun of my own, make a pig’s ear of it. Games can pass him by but he can also grab games by the grain of a rice – as he often did at the 2006 Cup of Nations where he was named in the CAF team of the tournament. The ex-skipper hasn’t played the instrumental he used to during qualification for this tournament but with Genoa’s Kevin Constant pulling out of the squad, we may very well see him grace the tournament again. This month he quit troubled FC Sion after they were docked 36 points for fielding an ineligible player and the motivation for him now will be to place himself in the so-called shop window for potential suitors. Once upon a time, not too long ago, Wilfried Bony failed a trial at Liverpool. But instead of sitting at home and crying into his jollof rice, he went to teams of a lower calibre and began working his way up from Sparta Prague. The most impressive thing about Bony is his composure in front of goal. Not blessed with the blistering pace we’ve become accustomed to with strikers from West Africa – he is no slouch by any means, though – he makes up for it with the supreme composure he shows when a chance is handed to him. He has scored 9 goals in 16 appearances for Vitesse Arnhem this season and 22 goals in his last 35 league appearances; we could very well be seeing him at a higher level than the Dutch Eredivisie very soon. Don’t expect him to start, but if Mr Drogba or Mr Kalou aren’t performing expect him to be the first point of call and to make a difference – he has 3 goals in his last 3 apperances for the Ivory Coast. Everything Ghana do goes through the Udinese man. Asamoah is the reason why Michael Essien is seldom mentioned when talking about Ghana – the Chelsea man is now an almost distant memory who is only mentioned for nostalgic purposes, rather than Ghana truly missing him. Many have compared Asamoah to Essien on the basis that they’re both Ghanaian box-to-box midfielders, but the similarities, for me, end there. Stick Asamoah just behind the striker and he’ll be able to weave in and out of the defenders. Stick him in central midfield and he provides you with incisive passing and glides through the centre in an almost Iniesta-like trance. Stronger than 10 bags of Tilda Pure Basmati Rice, Asamoah doesn’t offer the goalscoring threat of Essien at his prime, or just sheer powerhouseness, but he is a lot easier to watch on the eye. 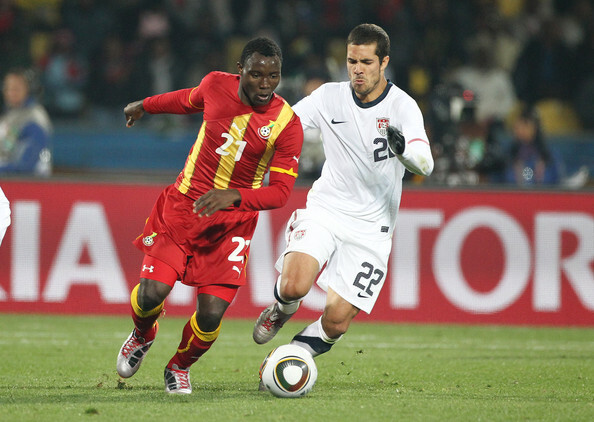 The general consensus is he hasn’t performed to his capability at his previous two tournaments – the Cup of Nations in 2010 and the World Cup – but with plenty of the big guns failing to qualify for this tournament, and with a rich vein of form at club level for Udinese this season – this may be Asamoah’s time to shine.